If one press has led the way in Scottish publishing, it’s Canongate. The team may be relatively small, but since Yann Martel won the Booker for Life of Pi in 2002, its global impact has been difficult to ignore. Canongate now publishes Barack Obama’s autobiographies as well as work by Nick Cave, Philip Pullman, Alasdair Gray, Margaret Atwood and David Shrigley. But where once Canongate was a bold but solitary outpost of indie British publishing success, the Edinburgh-based outfit has gained some vibrant contemporaries. 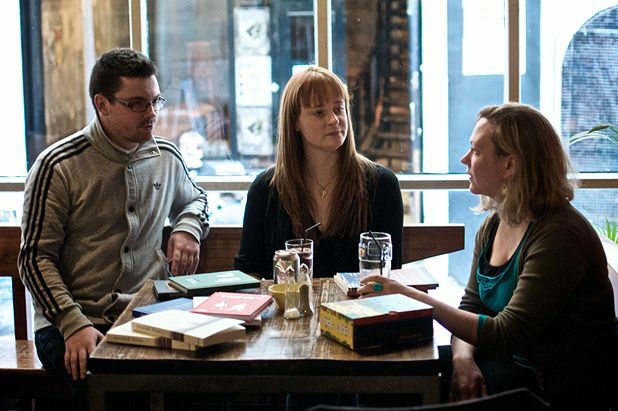 Diversity and innovation are mounting, and with them the hopes of a rosy future for books in Scotland. But what sets small companies such as Luath apart from the masses is a ready and genuine friendship with authors, combined with a sideways look at the market to find new seams to explore. One of Luath’s most successful recent books was a Japanese-language guide to Scotland, aimed at bewildered visitors. Small companies have inherent benefits. ‘Independents tend to be far more energetic in terms of their marketing, and more imaginative,’ he says. ‘They have a much closer relationship to their authors.’ Searle’s first love is Scottish literary fiction – he has an MA in creative writing – and he draws on this love daily in looking after his growing stable of writers. Having operated previously as a design company, Freight started printing novels only in 2011. It joins another new Glasgow company, Cargo, founded just three years ago by director Mark Buckland. Then a gardener with £800 and zero publishing knowledge to his name, Buckland’s passion for books has led to a rapid six-figure turnover, the launch of an eBook label and responsibility for work by over 100 international authors. Hi, I was looking for help getting some of my poetry published. Any assistance at all would be greatly appreciated.